Started trading around 2010 in college. It started out as a small extra money, but he quickly became a full-time trader. 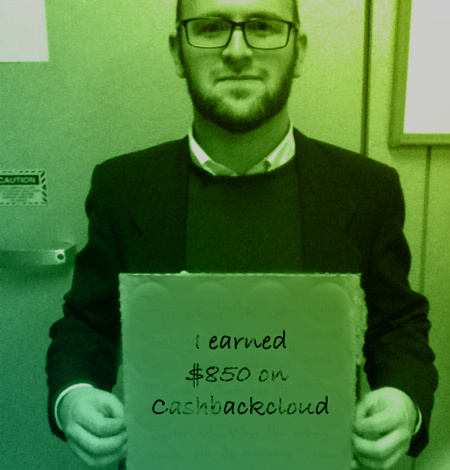 He has been trading with Cashbackcloud cashback since 2015. Recently switched to binary options trading from forex trading. Works as an engineer, and started trading as a hobby. Using Cashbackcloud for only two months. Trading forex in quite high volumes for 5 years. As a full-time day trader she makes thousands of dollar cashback in a month. It’s your money, only perfect is good enough. Read all the review here. Peter is a successful forex trader from Australia. He started trading in 2010 and has been using Cashbackcloud since 2015. In this interview Peter talks about his experience as a trader. Hello Peter! First, thank you for your time making this interview! Let's start from the beginning, can you tell how forex trading appeared in your life? Hi! Thanks for this opportunity it is funny that it occurred to me recently that I want to share my story so maybe it helps others just starting out. I have been trading since mid 2010. I remember this precisely as I was a college student at that time and messed up some up my exams... which meant that I will have to spend a bit longer at school unfortunately. Though as it turned out it was also fortunate as my next semester was a bit light meaning I spent some time to find something I can earn some money. There were some friends around me at that time who tried forex trading with more or less success and I gave it a shot. And then came all the glory and success at trading? Not even close. The idea that I will start out and make money immediately with Forex vanished as soon as I lost my first initial deposit, and then the second. But of course I started out in little and even the first experience made me want more and learn more. It was like a challenge for me to "beat the system", and I think that was the motivation for many people who become successful at trading later on. Anyways at that time I tried to get my hand on any instructional material regarding Forex. I would say that the it took me a year to learn the basics only, after that I started to see the real complexity and I felt that I am getting a better hold on trading every week. Well from 2012 I felt that my previous learning started to make a difference. After that 2 year of daily 1-2 hours of improving my skills it seemed that I finally got the hang of it, and started making some earnest profit. Nowadays I have a job which I like so I do not plan to go full time trading, but for now it is the money I earn with trading that covers my extra needs. I am not sure I would give up my career for Forex but maybe if I collect a larger sum than it can happen. How did Cashbackcloud helped you on your road? Well, at first I have to add that I did not know that there is any cashback opportunity for Forex. I also played some poker before and it was there where I first tried affiliate sites, then came the idea to check whether there is one for Forex. I googled it and give you guys a chance, it was also a factor that I would be able to manage my other cashbacks at one site. 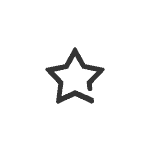 By far I have a pleasant experience with you, so I hope you keep it up! Switch to binary options trading from forex trading a while ago. Works as an engineer, and started trading as a hobby. Using Cashbackcloud for two months. Hello Thomas! 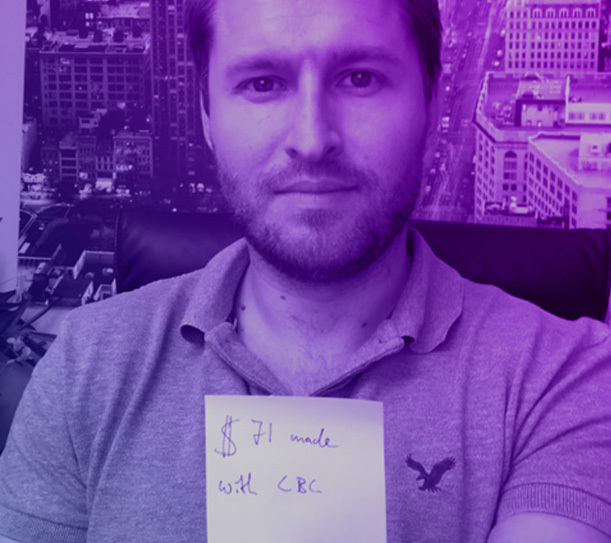 In the name of the Cashbackcloud team thank you for your time! Let's jump into the middle of it, how did you met with trading? Hello Guys! Thanks for asking me, even when I'm kindof a newbie here. I've been working as an engineer for about 8 years now, and I started trading as a "hobby" with the potential benefits of course. I tried many demo accounts at first as I am a self taught trader I did not wanted to really put any significant money in it at the beginning. I can say with confidence that I tried a lot of aspect of trading. I tried out many systems during using the demo accounts, but did not really found the one that suits me, so I tried to come up with my own. I traded swings for a short time, than later I used indicators but all felt a bit lacking. Recently I switched to binary options because the deals were exceptional. 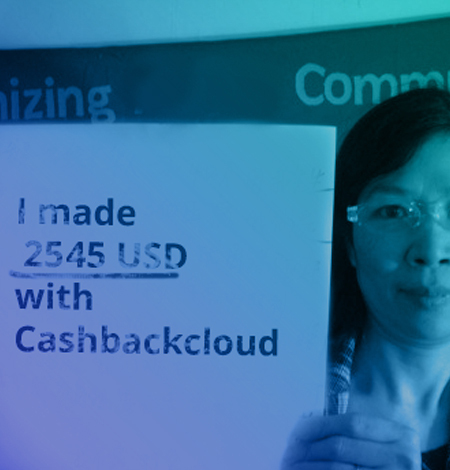 When did you decided to join Cashbackcloud? One of my friend tried out your site before and told me about it about two months ago. So far my experience is really great. You provide what you promised, I get some extra money after my trades what I otherwise would not get and as a referrer even my friend earns some money after my trades. I would not say it is as life changing sum, but in the long run it means a decent plus percentage of income. Of course it depends on trading style, for active day traders I would imagine it would mean much more cashback. Other than the usual "learn, learn, learn" thing I would say that a balanced and stable mental state when trading, without any emotional connections to the trading decisions is a must. It does not matter how well educated you are if you are unable to make cool headed decisions, and believe me it is really easy to slip out of this cool mind state. Hello Lin, Thanks for helping us with this interview! Can you tell us please how your trading career started? Hello! When I was younger I tried many sports but I was the most competitive in basketball. Unfortunately due to a bad injury I could not really continue it at any professional level. After that I tried many things including poker and e-sports, but at the end I found the biggest challenge in forex trading. The other main reason for forex was that I saw it as the opportunity with the highest potential to make a living of it. How did you approached this new challenge? I mostly used my previous experience in sports, meaning that no matter what you start doing in your life there is always a starting learning curve which can take a few years. It was the same with forex, in the beginning I just tried to get my hands on any information available. I even joined a course which actually helped me a lot to get the basics. Of course it was just the start, this basic knowledge was only enough to start trying out some techniques and made me able to make an objective evaluation of their result, nothing more. Are you a full time trader now? Yes. There were two components that allowed me to do it. First, after about 3-4 years it seemed my efforts showed success and I was trading with a nice profit in the 4th and 5th year of my carrier, so I was confident that I could keep it up. The second factor for anyone who wants to go full time is that you need a larger sum of capital available, but I was able to find some people who put their confidence in my skills and granted me a capital that was enough to go full time. Has cashback been a factor in your carreer? I have to say that it's not the main factor. However when I started out as a full time trader, my biggest challenge was to get over the bad periods, where no matter what you do you make a loss even if you were able to optimize the loss it makes you question yourself and whether to continue what you do. After I joined your site these times were much easier to overcome, as you pay cashback after trading activity, it did not matter that I was in a bad run I still got a compensation for my work. Have you tried our other services yet? I have added a Skrill account for the extra cashback, but right now, I'm not really interested in anything else. I'll use poker cashback for sure if I go play online again sometimes. Any advice for traders just starting out? Give it time. Do not even get into it if you do not plan to keep learning/trying at least for a year or two because constant success will not come easy, but try your best as it is achievable.